The mandate of development banks is based on the goal of poverty reduction in developing and transition countries. However, such publicly owned banks have given generous support for the expansion of the international pulp industry without evaluating its development impact. Given all the negative impacts on people and environment mentioned in this report, the question arises why development banks are financing the pulp and plantation industry. Of course, not every pulp mill is necessarily bad. A pulp and paper mill in, say, Kenya to provide paper for local users such as schools could be quite small and would be providing an important service for people in Kenya. But today’s massive pulp mills are built to produce pulp for the international market or to produce packaging for consumer goods for exports. These projects are neither “development” nor do they relieve poverty. Instead, aid to the pulp industry is way of providing public funds for the private profits of an international industry. Experiences from the past show that development aid for the pulp and industrial tree plantation sector is not only not leading to poverty alleviation; its net developmental impact is negative. Instead of serving industry interests at the cost of local people and the environment, aid agencies and development banks with the mandate to reduce poverty should stop such investments and end all subsidies to the pulp and industrial tree plantation sector. Commercial banks have a responsibility to look at the negative impacts their investments are causing. After being criticised by the public for supporting controversial projects, many banks have adopted the Equator Principles. But due to the Equator Principles’ limited scope, this step is not sufficient to exclude problematic investments. The Equator Principles are only applied to project finance and do not cover bonds, equity, commodities financing or general corporate loans. As only a small part of pulp financing comes from project finance, the Equator Principles are generally not utilised in this sector. Also, the Principles are based on very general criteria and do not sufficiently address the specific problems associated with forest, pulp and plantation projects. 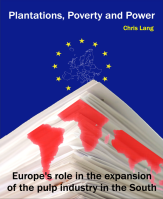 Realising the economic, ecological and social disaster that the investments in the Indonesian pulp sector have caused, several banks, such as ABN Amro, HSBC, Citibank, ING Bank, JP Morgan Chase and Bank of America, have developed specific forest policies. While each of these policies also has weaknesses, most of them contain exclusion criteria that may at least weed out the worst projects. The forest policies, for example, do not allow financing that leads to the destruction of primary (rain) forests or violates national laws or international conventions. Some banks will not finance operations in areas where indigenous land claims are not settled and others recognise the principle of free prior informed consent for affected indigenous communities. While the scope of most forest policies is broader than the Equator Principles, they still do not cover the full breadth of the banks’ financial operations. To date, only ABN Amro plans to apply its forest policy to all forms of financing. All of the above named banks are, however, still a step ahead of their competitors, most of whom have no policy to regulate their financing activities in the forest and pulp sectors. Governments often ignore the fact that lands designated for plantation development are encumbered with existing access, use and ownership rights. Some governments use force to remove communities from lands to make them available for industrial pulp wood plantations. The process of taking over indigenous peoples and local communities’ lands is often illegal under national law, but takes place due to the political and economic strength of the companies concerned, and the marginalised status of rural communities. Investors need to obtain independent information on the status of lands that companies claim are available for pulp mill and plantation development, and pay particular attention to overlapping land access, use and ownership claims, and land conflicts. Investors should require that relevant international conventions for the protection of human rights are respected. Indigenous Peoples have rights that derive from their status as peoples with land management and governance systems that predate the nation states that they now find themselves within. One of these rights is the right to give or withhold their free, prior and informed consent over development plans that will take place on or impact their customary territories. Investors should request information on indigenous peoples that will be affected by the project, including information on any agreements reached with indigenous peoples about the planned projects. Investors should seek independent information to verify that indigenous peoples have given their free, prior and informed consent to planned plantation and pulp and paper mill developments that will impact their customary territories. Pulp mills have large impacts on forests and other ecosystems through the use of wood from natural forests and the conversion of forests and other ecosystems to pulpwood plantations. While national law may require the protection of biodiversity, environmental impact assessments in many countries are not rigorous enough to determine and prevent negative impacts on biodiversity. In many cases, industrial logging and forest conversion take place in areas with potentially high conservation value without any assessment of environmental and social impacts. Investors should therefore require independent assessments on the impacts on biodiversity and conservation values of proposed developments, including all areas where pulp wood may be sourced, both within and outside proposed concession areas. Conservation values include not only biodiversity values, but also social and cultural values. Pulp mills generate large amounts of liquid, solid and airborne waste. Due to the limited ability of many Southern governments to monitor and control waste emissions from industrial facilities, it is not unusual that once a pulp and paper mill begins operating, maintenance of its waste water treatment facilities are ignored, and hazardous mill waste ends up being released into the air or dumped in waterways and on nearby lands. In order to minimise hazardous waste production, investors should require the use of best available technology to limit toxic emissions to air, water and solid waste. Investors should, for instance, require that no chlorine and chlorine compounds be used for bleaching. In addition, investors should require an ongoing system for the independent monitoring of pulp and paper mill waste, with the involvement of communities that will be affected by plantations and mills. Pesticides, herbicides and fertilizers used on pulpwood plantations often pollute water and soils and impact the livelihoods of surrounding and downstream communities. Independent monitoring of plantations impacts, including local stakeholder involvement, needs to be included in loan agreements. Fast growing pulp wood plantations use vast amounts of water and often have a negative impact on agricultural lands surrounding and downstream of plantation areas. Pulp and paper mills use large amounts of water. Investors should require independent information on the water related impacts of plantations and pulp and paper mills. Companies seeking investment in pulp and paper mills often overstate the raw material supply that they have access to or plan to grow. Figures for existing plantation wood volumes are often based on best sites. Many areas of plantations are subject to overlapping land claims and land conflict, which can lead to the wood resource being burned or otherwise removed. In some countries such as Indonesia, pulp mills rely on wood from natural forests, often with devastating impacts on these forests and exacerbating problems of illegal logging and forest conversion. The raw material should not come from plantations that have replaced natural forests. Investors must require independent information on the raw material supply, land conflicts affecting that supply, assumptions about annual growth rates, and impacts on natural forests. They should demand that the pulp and paper company provides credible, independent, third-party certificates for legal and sustainable wood sourcing for all raw material used. Mill and plantation workers in the South are often exposed to hazardous chemicals, and suffer from poor working conditions and low remuneration. Investors should require independent information on the working conditions in proposed or existing mills and plantations. Investors must insist that minimum ILO standards relating to workers and subcontracted workers rights are followed. Some pulp companies are developing genetically modified trees in order to maximise growth rates, to produce wood that can be pulped more easily or to produce trees which are pest-resistant. This poses unacceptable risks to the environment. Investors should require that no genetically modified organisms be used in plantations and that the companies in which they invest are not carrying out any research into genetically modified trees. Companies seeking investment try hard to present their projects as economically, ecologically and socially viable. It is important to examine the track record of any company seeking investment, and to take into account the irregularities, social problems or forest destruction it has caused in the past. The case of the Soeharto family in Indonesia shows how major irregularities develop when politically exposed persons or politically exposed companies who have illegally amassed large fortunes, diverted international aid payments or taken bribes in return for arranging favourable decisions, are involved in a project. Investors should be extremely cautious when contemplating investments in countries where there is a high risk of bribery and corruption. Banks are advised to develop country risk categories that mirror the environmental and social risks of doing business in countries with weak environmental laws, weak implementation, a lack of democracy, a high instance of corruption and other issues, which will impact the environmental and social performance of specific investments. In countries with high risk ratings, due diligence procedures for environmentally sensitive projects must be especially thorough and in some cases, it may even be advisable to call a moratorium for environmentally sensitive investments, such as major pulp projects, in such countries. Several tools already exist that can help banks to determine whether a project is problematic in regards to some of the issues mentioned above. While none of these tools are sufficient on their own, collectively they can be of great benefit to come to a realistic assessment of pulp and plantation projects in the pipeline. Established by the World Resources Institute, Global Forest Watch works with groups around the world to create detailed forest maps. Global Forest Watch has mapped frontier forests, the world’s remaining large intact natural forest ecosystems – undisturbed and large enough to maintain all of their biodiversity. Several major companies, including IKEA, have adopted policies relating to the conservation of intact forest ecosystems and use maps developed by Global Forest Watch. In its lending policy, the Bank of America states that “lending proceeds will not go to logging operations in intact forests as defined by WRI mapping.” For more information see: globalforestwatch.org. 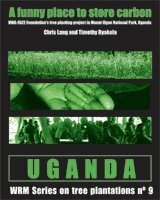 Published in 2006, the Greenpeace map is the first global assessment of remaining tracts of intact forest landscapes larger than 500 square kilometres that are not fragmented by infrastructure, such as roads, settlements, waterways, pipelines, power lines etc. These tracts are located within the forest vegetation zone and are mostly forested, but also contain swamps and other non-forested ecosystems, which are without significant visible signs of human impact such as logging, burning or other forms of forest clearing. For more information see: intactforests.org. 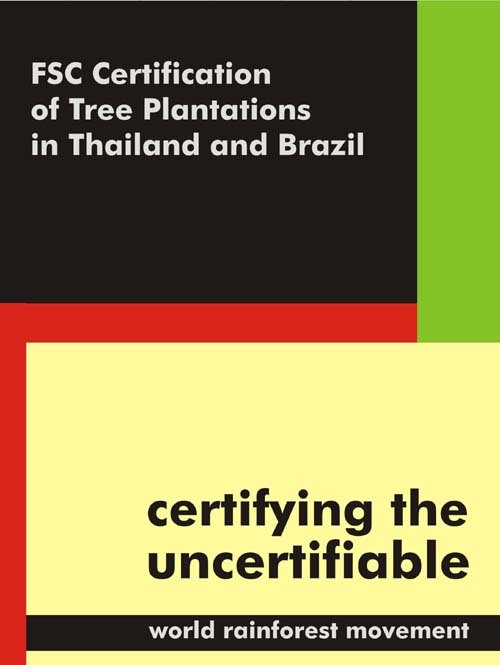 The aim of independent third-party certification is to guarantee that a wood product comes from well-managed sources and can be traced from forest or plantation to end product. The Forest Stewardship Council (FSC) is currently the only certification scheme which is endorsed by major NGOs. Its criteria cover economic, ecological and social aspects. Certification can provide banks with a first indication of whether projects meet sustainability standards. However, in recent years concerns have been raised specifically about the awarding of FSC certificates to pulpwood plantations with serious social and environmental impacts and there are ongoing disagreements within FSC on these issues. Investors should therefore not rely solely on certification, but need to evaluate all of the issues listed in the recommendations. The High Conservation Value concept was first promoted by the Forest Stewardship Council (FSC) as a way of providing extra protection to critically important forests. It has since been extended to other ecosystems. The core of the HCV approach is the identification and maintenance of High Conservation Values (HCVs) in terms of endangered and threatened species, habitats, landscapes, environmental services, livelihoods and cultural identity. The HCV Resource Network is overseen and directed by a Steering Group of NGOs (Greenpeace, WWF and others), the Forest Stewardship Council, the ITTO, the World Bank and two paper companies. The World Bank is currently exploring how the concept can be applied to help it define which are the ‘critical forests’ and ‘critical habitats’ that its policies on forests and natural habitats are meant to safeguard. One must, however, caution that problems arise if this tool is used as a stand alone landscape zoning procedure without consideration of wider framing considerations like legality, land rights and the rights of indigenous peoples. In the past, HCV consultations with local stakeholders were sometimes abbreviated and the assessments of consultants contracted by companies have often excluded consideration of HCV criteria like livelihoods and cultural aspects. For more information, see: hcvnetwork.org/ and WRM Bulletin 114. The Global Reporting Initiative, supported by the UN Global Compact could serve as a framework for the reporting of non-financial company information. But so far, the GRI has not produced sector supplements for the pulp and paper sector. These would in any case, need to include detailed information on the volumes of raw material consumed, the relevant social and environmental impacts in the supply areas, as well as production capacity, actual production, pollution control and labour standards applied. For more information see: globalreporting.org. In order to supplement and update the information contained in this report, urgewald will regularly post news on pulp mill investments in the pipeline. 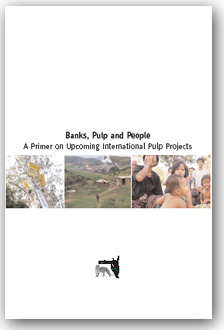 This information will be published on the website: pulpmillwatch.org and its purpose is to encourage financial institutions to identify environmental and social risks of pulp projects before making their lending decisions. Abrahams, Paul (1992) “Survey of Pulp and Paper” Financial Times, 14 December 1992. “Alternativer Waldschadensbericht“, urgewald, ARA, Forum Umwelt und Entwicklung. 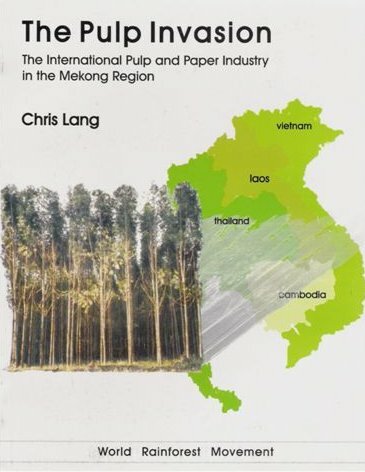 Carrere, Ricardo and Larry Lohmann (1996) “Pulping the South: Industrial tree plantations and the world paper economy”, Zed Books, London. Carrere, Ricardo (2006) “Greenwash: Critical analysis of FSC certification of industrial tree monocultures in Uruguay“, World Rainforest Movement. Cossalter, Christian and Charlie Pye-Smith (2003) “Fast-Wood Forestry. Myths and Realities”, Center for International Forestry Research (CIFOR), Bogor, Indonesia. De’Nadai, Alacir, Winfridus Overbeek, Luiz Alberto Soares (2005) “Promises of Jobs and Destruction of Work: The case of Aracruz Celulose in Brazil“, World Rainforest Movement. Gromke, Uli and Andreas Detzel (2006) “Ökologischer Vergleich von Büropapieren in Abhängigkeit vom Faserrohstoff”, Institut für Energie- und Umweltforschung Heidelberg GmbH, August 2006. Karumbidza, John Blessing (2005) “A Study of the Social and Economic Impacts of Industrial Tree Plantations in the KwaZulu – Natal Province of South Africa“, World Rainforest Movement. Lohmann, Larry (1995) “Pulp, Paper and Power: How and Industry Reshapes its Social Environment“, The Corner House. Matthew, Ed, Jan Willem van Gelder (2001) “Paper Tiger, Hidden Dragons: The responsibility of international financial institutions for Indonesian forest destruction, social conflict and the financial crisis of Asia Pulp & Paper“, Friends of the Earth. “CEO Perspectives. Viewpoints of CEOs in the forest, paper & packaging industry worldwide”, PricewaterhouseCoopers, 2006. “Global Forest and Paper Industry Survey: 2006 Edition – Survey of 2005 Results”, PricewaterhouseCoopers, 2006. “Roundtable on the Industrial Ecology of Pulp and Paper”, Journal of Industrial Ecology, Massachusetts Institute of Technology and Yale University, Volume 1, Number 3. Schaefer, Kurt (2007) “Pulp” in “Looking Ahead: The RISI economists give a quick outline of prospects for the next 12 months”, Pulp and Paper International, January 2007, pages 19-21. Spek, Machteld (2006) “Financing Pulp Mills. An Appraisal of Risk Assessment and Safeguard Procedures”, Center for International Forestry Research (CIFOR), Bogor, Indonesia. Suhonen, Timo (2007) “World Fibre Outlook 2020”, Know-How Wire, Poyry Magazine, Issue 1, 2007. Whiteman, Adrian (2005) “Recent trends and developments in global markets for pulp and paper”, Paper presented at Paperex 2005 – International Technical Conference on Pulp and Paper Industry, 3-5 December 2005, New Delhi, India. 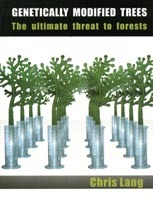 Williams, Ted (2000) “False Forests”, Mother Jones, 1 June 2000. ILO Convention 169 for the Protection of the Rights of Indigenous Peoples, Draft UN declaration on indigenous peoples, General Declaration of Human Rights (1948), UN Convention for the Elimination of all Forms of Racial Discrimination (1966), International Agreement on Economics, Social and Cultural Rights (1966), International Agreement on Civil and Political Rights (1966). The right for an free, prior and informed consent for indigenous people is e.g. found in the Draft UN declaration on indigenous peoples. ILO Fundamental Work Rights: freedom of association, the right to organise and to collective bargaining; the abolition of forced labour, the elimination of child labour; and the prohibition of discrimination in employment and occupation (equality of opportunity and treatment). “Forests Practices — Global Corporate Investment Bank Policy“, Bank of America website. See definition of high conservation values at hcvnetwork.org.